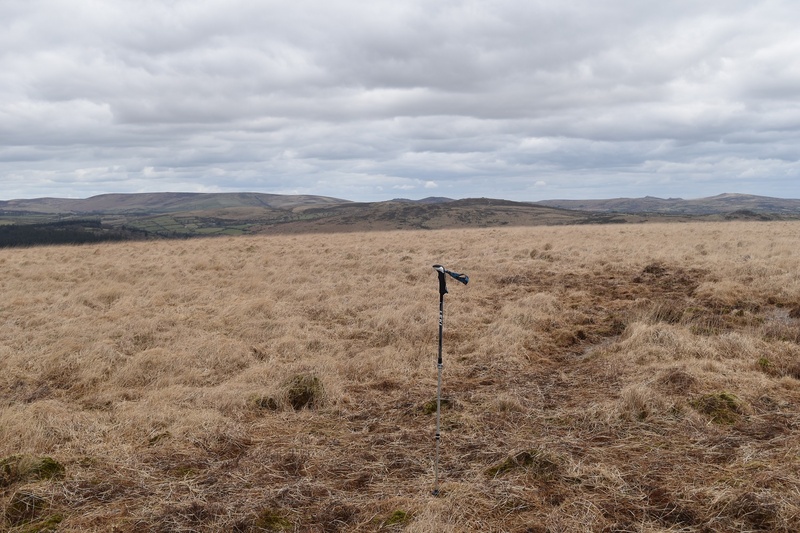 Like Ter Hill and nearby Skir Hill, Down Ridge is another flat bump of a hill, with little in the way of features or summit ground. You know when you get to this type of hill as the ground becomes boggy as it flattens out!! To the south of Down Ridge lies the Monks path and one of its crosses as well as the O Brook. 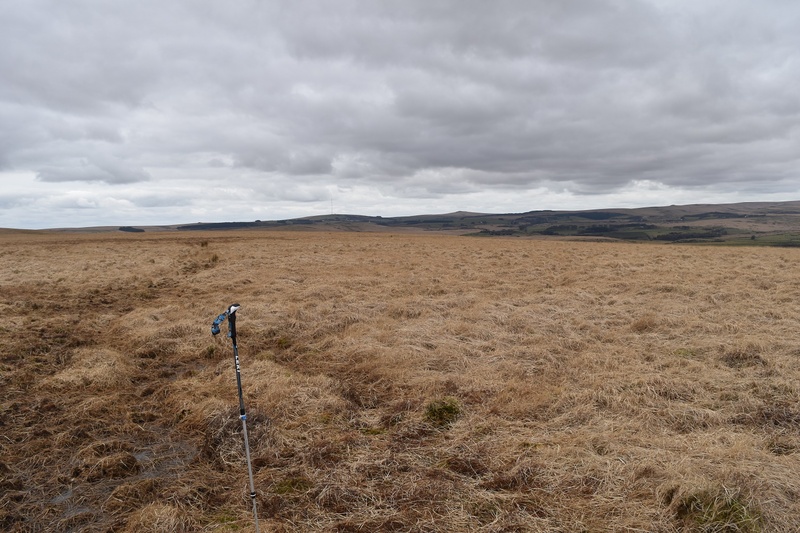 There are good views north and west across to Princetown. 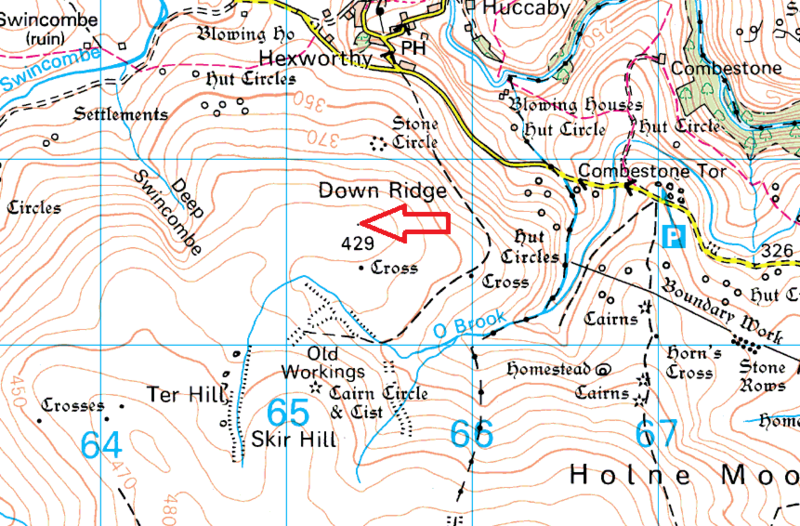 The best path to this hill is along the path from Hexworthy, marked on the OS maps. There are no firing ranges near this hill.